Holden Media Productions uses video production to create awareness about your brand. We use 14 years of journalistic experience to help you tell your business stories in creative and engaging ways. If needed, we can help write your script, coach you through Presenting to Camera, or interview you to ensure the key messages are conveyed through video. Whether it’s a promotional video, a case study, an interview, a piece to camera or a training video, we make you and your business look its best. Our founder has more than 14 years experience working as a journalist for the BBC and Sky News. We ensure the video captures attention from the beginning, is succinct, consistent and engaging. Using video editing, audio and production techniques, we craft compelling content that interests, converts and retains clients. We are flexible to clients’ needs, and make the whole process easy. If you need video for your website, social media or an email marketing campaign, get in touch. Holden Media Pro is a video production company in Berkshire that focuses on content and storytelling. We deliver that in the most succinct and attention-grabbing ways. Our videos are creative, yet honest and authentic, and tell the best stories in your company. 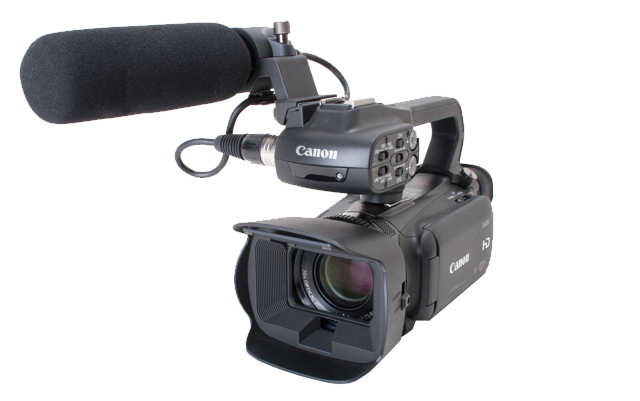 We also provide Presenting to Camera training, how to use your smartphone to film yourself and media training to corporations. With video once again being widely touted as one of the biggest social media growth trends for 2019, now’s the time to conquer those fears and use it to become more visible to clients. YouTube is the second biggest search engine in the world, as people increasingly search through video. Facebook has on average 8 billion video views a day. The explosion of video is a massive opportunity for businesses to become and stay visible. Marketing experts believe the chances of a potential customer buying a product increase by 64 per cent after watching a video. "We engaged Marissa with the rather vague and difficult brief of "filming our one day experiential event". It was a relaxed, informal, highly interactive day with a large group moving between spaces and rooms. Marissa was fantastic - moving between cameras, capturing audio - we were hardly aware she was there. The resulting film is great quality, and it really captures the essence of the event. I was so impressed with Marissa's ability to quickly grasp the subject matter, and the outcome we wanted - with very little intervention from us she pieced together a short film that shows the energy, the atmosphere, and most importantly the really key messages. Very professional, easy to work with, and would definitely use Marissa again." I have worked with Marissa several times and she is highly professional, very focused, always well organised and has a real eye for detail. Her background as a broadcast journalist with the BBC and Sky News means she knows how to put an impactful story together that will capture the audience's attention. She has great interview skills and presenting tips which immediately put you at ease in front of camera. She is also very calm. I am delighted with all the videos Marissa has produced for me and highly recommend her." Holden Media Pro is a video production company creating beautifully crafted videos, video editing, interviewing and delivering presenting and media training. Registered Address: Halldore Corner, High Road, Cookham, SL6 9JT.